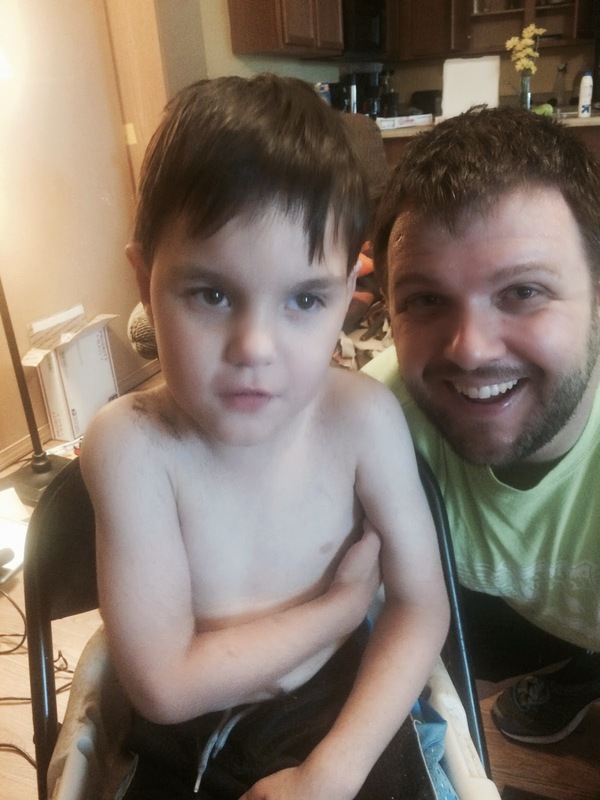 So, the boys haven't been thrilled with getting haircuts...well, really...ever! Even when they were little guys and we took them for their first professional haircut, they didn't enjoy it. Tolerate? Perhaps. Enjoy? Definitely not. Since that time, though, Luke has grown to HATE haircuts. We've traumatized a handful of professionals trying to accomplish the task of getting Luke's hair cut (an event that occurs maybe 3 times a year). God bless 'em. Looking back, we should have tipped them waaay better than we did. 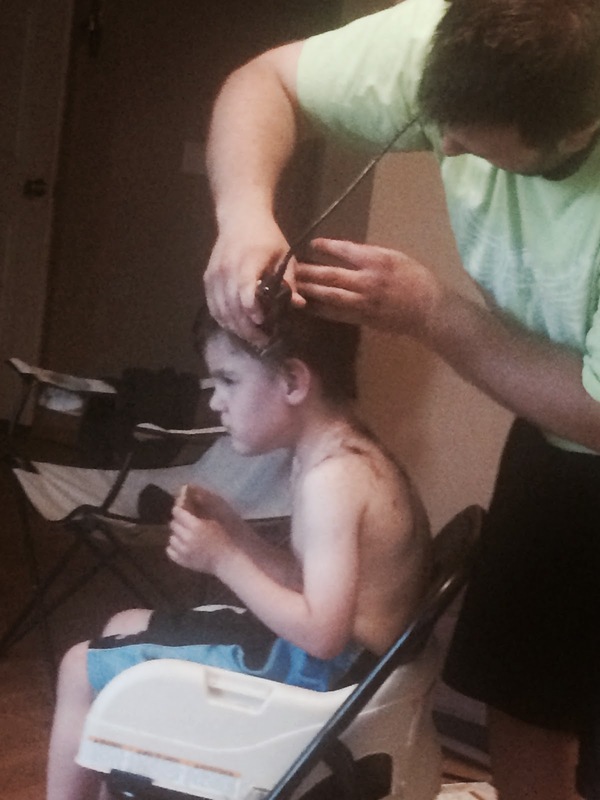 Anyway, we've settled on the fact that Luke's haircuts will just have to be done at home. 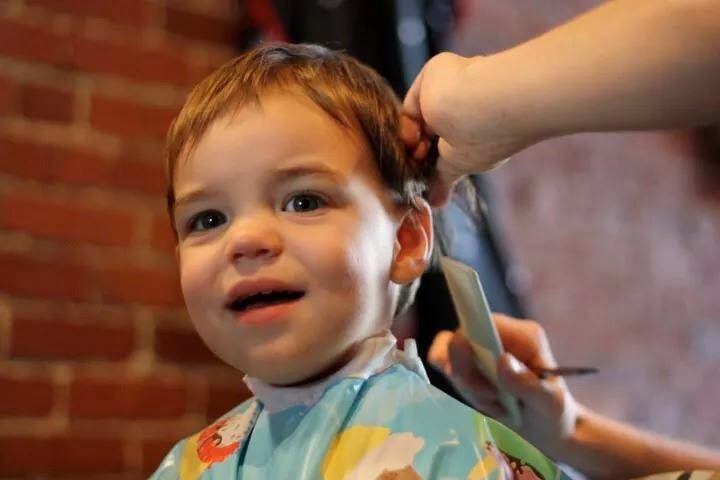 Maybe you have a child or have seen a child who dislikes haircuts. Luke is about as extreme as it gets. I'm not sure "hate" is even a strong enough of a word. He falls apart. He screams and thrashes and his hands/arms/legs/feet become weapons against the one trying to cut his hair. It's a really, REALLY hard thing to do. Rarely do we wake up and say, "Oh, let's give Luke a haircut today." No, it has to like be on the calendar. We prepare emotionally for at least a couple of days. Ha! I know.....it probably sounds ridiculous. Especially for those of you who can waltz into a cute little kids hair salon....plop your kid in a cool helicopter seat, sit back, take pictures and give them them a lollipop at the end. Haha!! This is SO far from our reality. We still don't know if it was just the right combination of snacks, videos, tone of voice, lighting, air temperature?? The way Andrew was holding the clippers?? Seriously. you begin to take inventory of every.single.detail so you can (hopefully) replicate the experience next time! 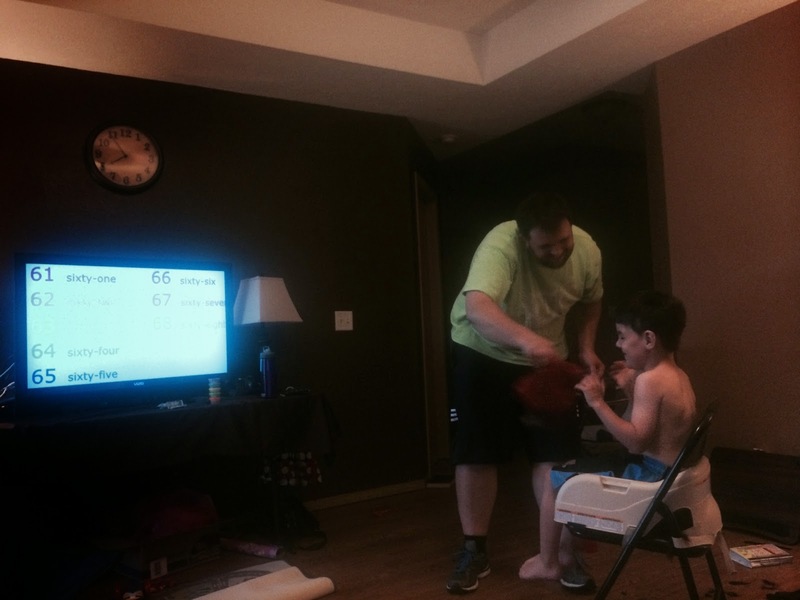 Whatever "it" was, Luke sat in the chair and never cried once!! No tantrum. No tears. Hardly any objection at all. Almost feels like a miracle! You ALL are amazing <3. I commented but it disappeared. Hopefully doesn't end up showing up again. Anyway...praising the Lord with you and admiring your Joy-discovery in life's mundane moments!! Many blessings to you all.